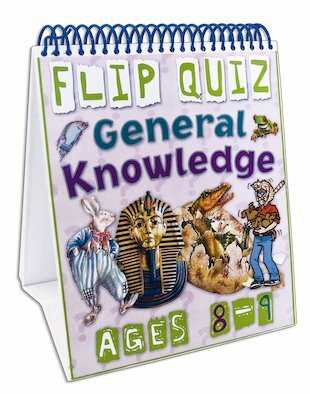 A flip-over frenzy of quizzing excitement: great for party games. Show off what you know. 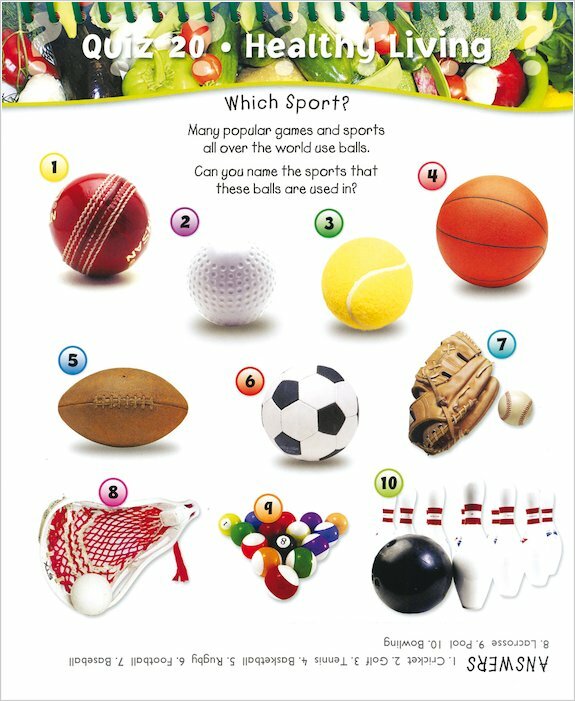 Brilliant for holidays, journeys, parties and sleepovers, this awesome flip-chart lets you quiz to your heart’s content. It contains 100 cool quizzes split into ten themed sections which will entertain you totally, and build your knowledge for school. That’s a thousand incredible questions to tease your brain, accompanied by picture clues and picture quizzes, mini fact boxes and wipe-clean score cards. Hold cool competitions with your mates. Or take the ultimate challenge and do them all yourself!